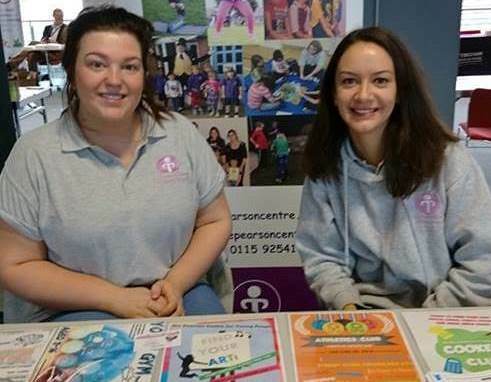 The Pearson Centre for Young People is a youth and community centre situated in the heart of Beeston, Nottingham. The Centre’s main work is with children and young people aged 4 to 18 years, through the auspices of The Boys’ Brigade and The Girls’ Brigade. The Centre also provides various after school activities on some weekdays. The Centre is available for hire on weekdays, some evenings and weekends by businesses, community groups and individuals. We are able to offer facilities for meetings, training seminars, conferences, theatrical or musical productions together with birthday parties. Every Monday and Tuesday during term time The 17th Nottingham BB works with boys and young men aged 5 to 18 years old. Every Thursday during term time The 30th Nottingham GB works with girls and young women aged 4 to 18 years old. If you are aged 6 to yr 8 The Pearson Centre is the place to be during the school holidays. We offer a jam-packed week full of fun, activities and trips. Click below to find out more. The Pearson Centre has recently become part of the ‘Broxtowe Lotto’. Please click here to find out more!